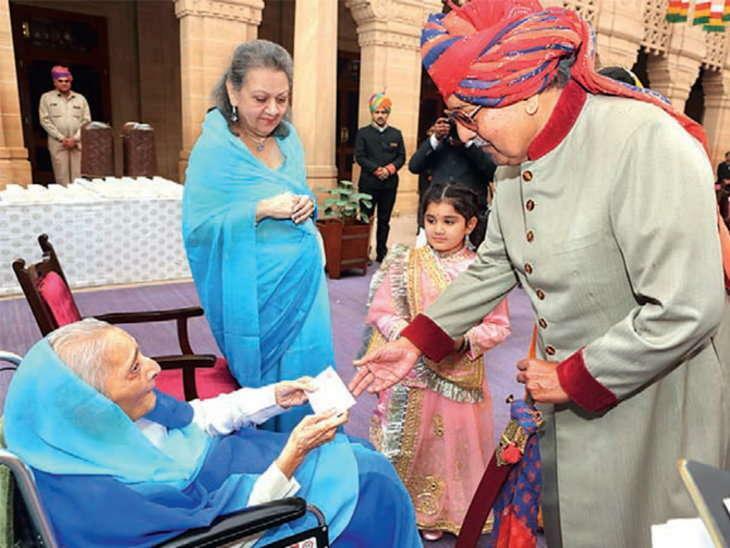 The 92-year-old Queen Mother of former Jodhpur (Marwar) and former MP Krishna Kumari died on Tuesday following cardiac arrest. She was not keeping well and was admitted to a hospital where she breathed her last. "Her condition had began showing signs of improvement after admission but she suffered a cardiac arrest again on Monday night which proved fatal. She breathed her last around 1.00 am today," the doctor who treated her said. A representative of the royal family, Rajendra Singh informed that the funeral took place at the royal cremation ground, Jaswant Thada in Jodhpur in the evening. The body was kept at Umaid Bhawan, the abode of the former Jodhpur royalty, for people and dignitaries to pay their last respect. Born in the year 1926 as the princess of Dharangdhra in Gujarat Krishna Kumari married the Marwar ruler Sir Hanuwant Singh in the year 1943. 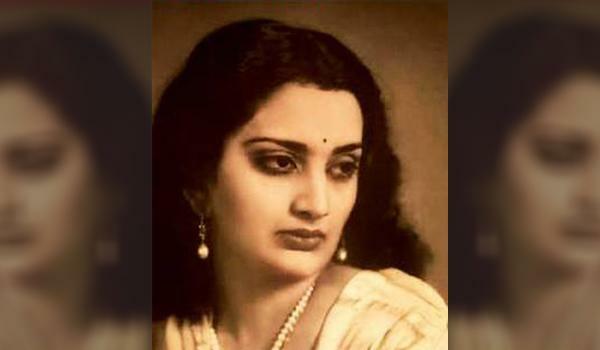 In the year 1952 as Hanwant Singh died in a tragic plane crash, Krishna Kumari was left alone with all the responsibilities of the royal household. At the time of the plane crash, Krishna Kumari was busy in the election campaign in Rajasthan. The circumstances under which the ruler fell in love with the other woman and the plane crash formed the theme of the Hindi film, Zubeida. Krishna Kumari is survived by her son and erstwhile ruler of Jodhpur, Gaj Singh, a former member of the Rajya Sabha and two daughters, former Jodhpur MP and Himachal Pradesh Minister Chandresh Kumari and Shailesh Kumari. Her sudden death took the royal family and whole of Marwar by shock. Rajasthan Chief Minister Vasundhara Raje and her predecessor Ashok Gehlot attended the funeral. The scions of several former royal families of Rajasthan joined her last journey. 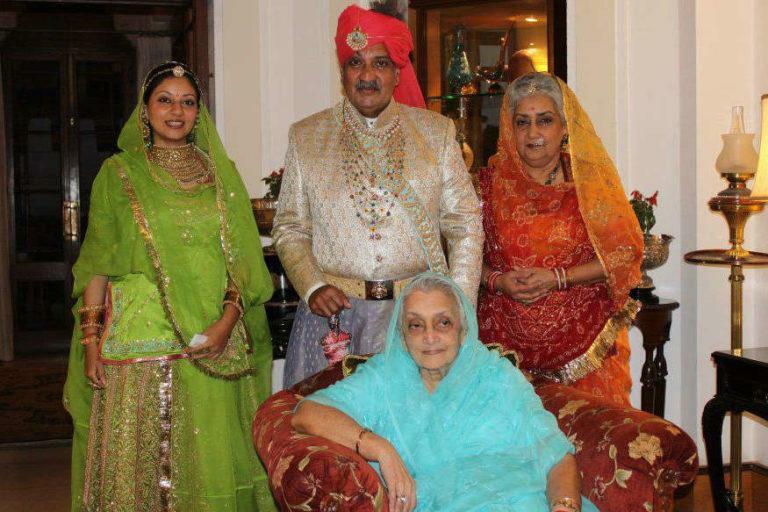 CM Vasundhara Raje took to Twitter and wrote, "Deeply saddened by the demise of Rajmata Krishna Kumari ji of Jodhpur. A champion for women empowerment and girls’ education, Rajmata was an inspiration to the women of Rajasthan." Deeply saddened to know about the passing away of #Jodhpur Rajmata and former MP Smt Krishna Kumari ji.. My heartfelt condolences to the bereaved family...may god give them strength to bear the loss and may her soul rest in peace. 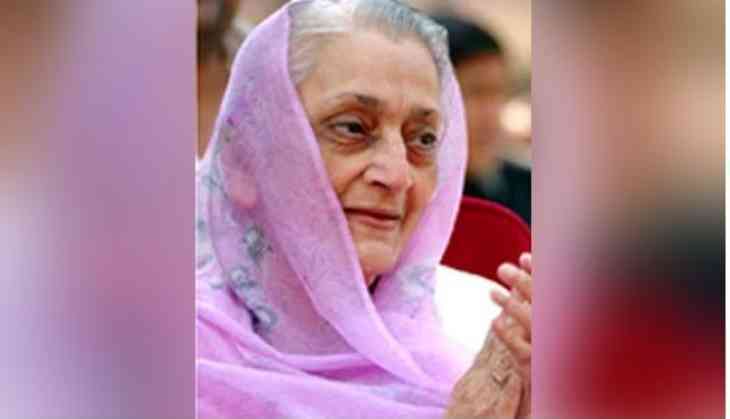 Former CM of Rajasthan Ashok Gehlot tweeted, "Deeply saddened to know about the passing away of #Jodhpur Rajmata and former MP Smt Krishna Kumari ji.. My heartfelt condolences to the bereaved family...may god give them strength to bear the loss and may her soul rest in peace."